"Ashley purchased the property through an estate planning mechanism, deferring or eliminating the tax issues." 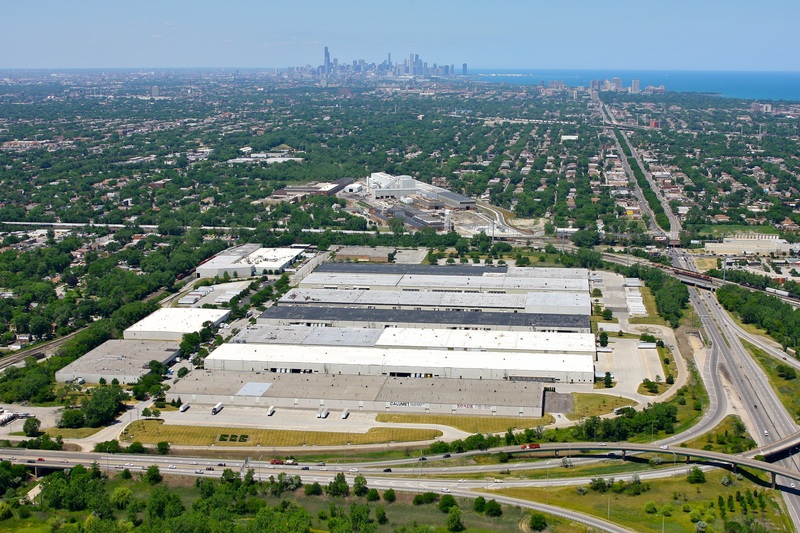 In 1984, despite a gloomy economic environment in the Midwest, Ashley sought to acquire a 12-building industrial complex south of downtown Chicago. For a transportation network, this site was ideal – it offered rail access and was located within one-quarter mile of I-94, with close proximity to I-57, I-80 and I-90. Unfortunately, the owners would have faced significant tax exposure through an “ordinary” sale and therefore rejected otherwise acceptable offers. Ashley contracted to purchase the property through an estate planning transaction which deferred or eliminated the tax issues. A renovation program was immediately initiated which resulted in occupancy rates moving from less than 70% to 94%. After several years of successful operation, two existing tenants that had renewed confidence in the Center had Ashley construct expansion space for their use. Over the past twenty years companies like The Chicago Tribune, Solo Cup, MeadWestvaco, WestRock and Cargill have been important tenants. In September 2005, Ashley acquired the one building it did not own in the park as part of a portfolio buy from Solo Cup Company. The 267,000 SF building was been converted from manufacturing use to multi-tenant warehouse/distribution use and currently houses DSC Logistics and Arro Corporation. In January 2017, the Calumet industrial complex was sold to Calumet Industrial Chicago.